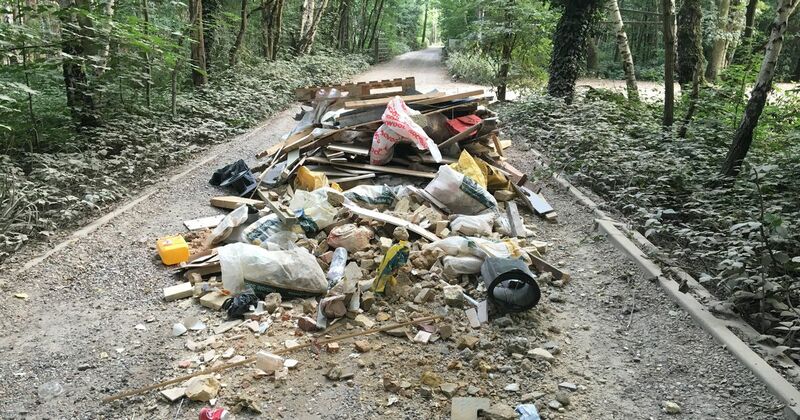 Dumping 46 bags of builders’ waste on a picturesque country lane near Droitwich Spa in Worcestershire cost Joshua Sankey (20) of Sutton Road, Kidderminster and Rocky Smith (28) of Teme Crescent, Droitwich a total of more than £2,000. Sankey had been contracted to undertake a house clearance at a property in Worcester. But instead of disposing of the rubbish properly, he dumped it on a country road between the villages of Doverdale and Hampton Lovett. This resulted in Wychavon District Council taking Sankey to court. Charged with fly-tipping and pleading guilty, Sankey appeared before Worcester Magistrates’ Court in November 2017. He told the court that he recognised that what he had done was unacceptable but that his girlfriend had been pregnant at the time and he was short of cash. Unimpressed by Sankey’s excuse, the court fined him £1,000 with costs of £535 and a surcharge of £100. At an earlier court appearance Sankey’s associate Rocky Smith, who had helped Sankey with the house clearance, was fined £300 with an £85 surcharge. Smith was also sentenced to a 7pm to 7am curfew running for eight weeks. He told the court that he’d just been doing a favour for friend but had made a poor decision.